This year, for the first time, more people are accessing the internet on their smartphone than on a laptop or PC*. General web browsing is the second most popular activity carried out on a smartphone (77%)* and 45% of smartphone owners say they use their phones to make purchases online*. Among owners who have 4G the figure is even higher at 55%*. All this activity points to a fundamental shift in consumer behaviour, and means that mobile is now an integral part of ecommerce strategy and planning. If you’re an ecommerce business then the exploding number of online visitors going mobile is giving you a challenge. How can you get your mobile site to meet the expectations of your visitors and match their desktop, and in-store, shopping experiences? The article provides an easy to follow three-step process to ensure your mobile visitors have a great experience browsing, and buying, on your mobile website or app. The first step of creating a great mobile experience is to forget everything you think you know about your visitors and discover what’s really happening. It’s particularly important not to assume that what you know about them from the desktop research also applies to the mobile research. It might – but in our experience this is typically not the case. Who are your mobile visitors? When are they using your site? Where are they when they’re using your site? What do they like/dislike about your site? How are they currently using your site? The answers lie in a variety of data sources. Contribution to revenue. Don’t be surprised if mobile lags far behind other channels in terms of revenue generation. If this is the case, be realistic about the opportunity. That is not to say that you should ignore mobile, but even a large uplift on mobile could be washed away if its contribution to total revenue is tiny. The peak times visitors visit your mobile site. What trends can you see? Are visitors mainly using your site during commuter hours? Or in the evening? Or are you seeing consistent traffic levels throughout the day? Do you see more mobile traffic during a weekday or the weekend? All of this data helps you to build up a picture of when your visitors are using your site. Conversion funnels. What are the key landing pages for your mobile site? Where are visitors coming from? Where are they dropping out of the funnel? What percentage of visitors add items to their basket? What percentage buy? Compare this to funnel data for your desktop site to see what you can infer about any similarities or differences. Top mobile devices being used. Understanding the devices active on your site can help you to align usability studies and other reviews by targeting those specific models. Use a service like Browserstack to see how your site renders on the most popular devices. 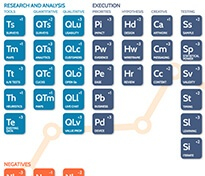 For this level of analysis, the usual route is to apply advanced segments for each of the three device categories. This will cause GA to sample the data as you can see in the screenshot below. That should not be seen as a problem, but if you want to avoid it then a way around that is to create separate views for each device category in your GA account. Surveys are a great way to ask ‘why’ questions about the ‘what’ data that analytics provides you with. We use Qualaroo on mobile sites to ask ‘in-the-moment’ questions to visitors as they’re using your site. Another way to get great information is to email your database asking relevant questions. Where are you? Are they at home? On their way to work? Perhaps they’re in the office on their lunch break? Or out with friends. Never underestimate just how ‘mobile’ people are when they’re using their mobile. What else are you doing? Mobile browsing can occur in a variety of contexts. We’ve had people tell us they’re also watching TV, cooking or waiting for the tube. We’ve even had people tell us that they’re in the bathroom! Be prepared to learn a whole lot more about your mobile visitors with this question. Why did you come to this site? Did they come to buy or to browse? To find their local store details? Or just see what you have on offer? Like your desktop site, your mobile site has to deliver on a number of purposes – but which are the most important ones? If you didn’t buy from us today, why not? What is stopping people buying from your site? Did they just want to browse on their commute and then buy when they’re at home? Did they not find what they wanted in their limited time available? Are they sceptical of putting their card details into their mobile phone? These are all important answers to know. What is your age / gender? Are you mobile audience demographics different from those on your desktop site? Surveys are a great way to ask the question and find out. Through which channel are you likely to purchase? We find that some people are still uncomfortable with the idea of making the actual purchase on a small screen. Mobile may play an important role in assisting conversions, even though the sale may not be made on mobile. Running usability studies on your mobile site offers you a great opportunity to see, hear and speak to your mobile visitors first hand. Unfortunately, the technology to run remote moderated usability sessions on your mobile site isn’t yet as advanced as it is for desktop sites, but there are still ways in which you can gather this useful data. If your audience is tech-savvy you can ask them install a screen sharing app like GoToMeeting or JoinMe which allows you to see their screen, and hear their voice, while they use your site. Unfortunately this only works on tablets and not on mobile phones. Services such as WhatUsersDo and UserTesting.com offer their panel-based usability studies on mobile and tablet devices. Users are recorded using your site and the recording is sent to you 24-48 hours later. It’s cost-effective, timely and convenient, but be sure to ask a highly-specific target audience question or the data you gather may not best represent what your target audience think, feel and do. Once you’ve understood a little bit more about how and why visitors are using your mobile site, you can create new web pages that are optimised to improve their experience. But before you start development, there are a number of stages you should follow to make sure that the changes really will create a great mobile experience. Start off by creating a wireframe of what the change will look like. Tools like Balsamiq allow you to create wireframes within set mobile dimensions ensuring that what you design reflects exactly how it will look on a mobile device. Once you have created your wireframe, get feedback on your changes. Don’t just assume that they meet requirements. Ask your visitors whether it really solves the issue they were having. Is it a genuine improvement on their experience? The feedback you receive here is invaluable in making sure that what you develop has the impact you want. Finally, before you change your mobile site, split test your new design against the current page. All the major A/B testing tools now offer the ability to test both mobile websites and apps and this is a great habit to get into. 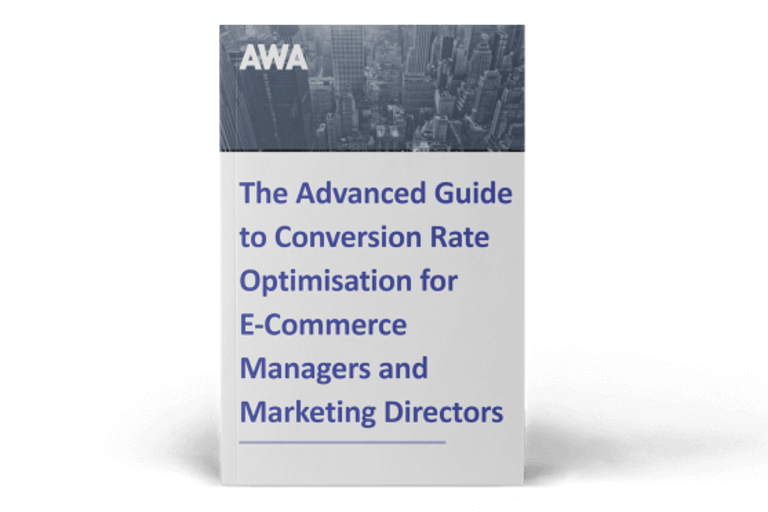 Split testing your changes allows you to measure the impact of the change across a number of metrics including conversion rate, progression rate and, most importantly revenue. Only once you have reached statistical confidence that your change has the desired effect on mobile experience should you ask your developers to hard code the changes. Creating a great mobile experience isn’t a one-off exercise or a one-way process. It’s a cycle of continual improvement. Consumers change, technology advances and the goalposts move. To make sure your mobile site provides the best experience visit after visit, you need to continually learn what your visitors want and design and split test ways of delivering their requirements. Only then can you be sure that your mobile site is delivering a great experience time and time again. The easy to follow three step process mentioned above is guaranteed to improve the mobile experience on any mobile website or app. Get started today to see what you can achieve. 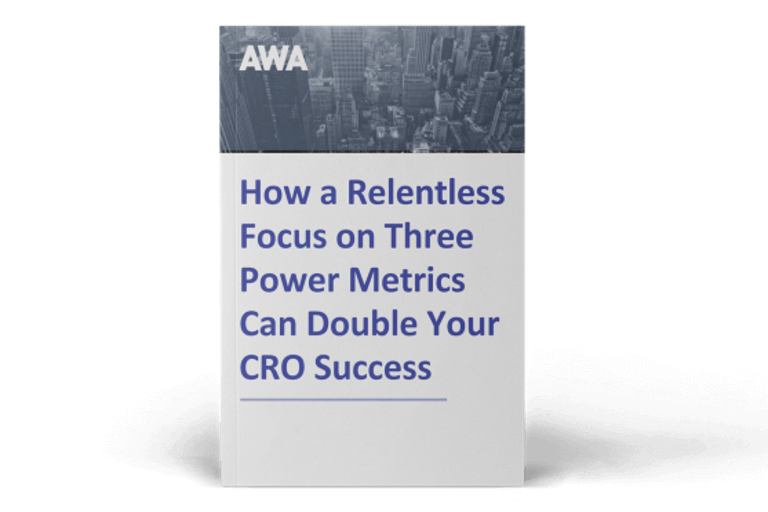 With the ever-increasing importance of mobile CRO, you can also read our ebook below to find out how a focus on three power metrics can double your CRO success.